But I’m piecing mine in Liberty fabric with a natural linen for the borders. I started this quilt in June 2015. 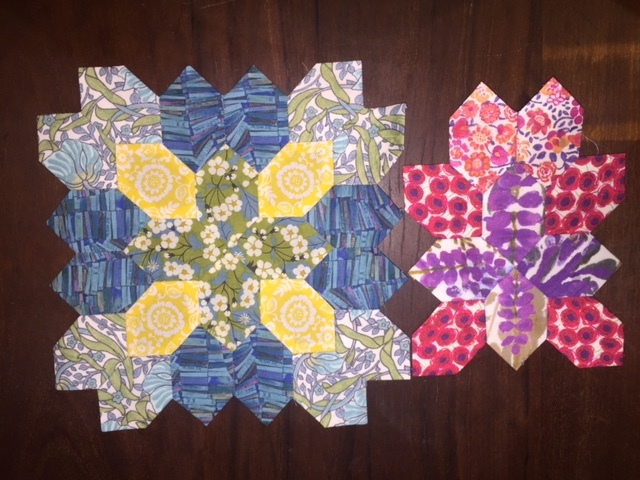 So far I’ve only completed 1.5 blocks! 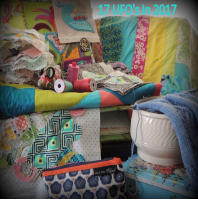 Lets see if I can ‘substantially progress’ this UFO over the next 3 weeks…..
Hmm, Meredithe has listed the ‘rules’ for 17 UFOs in 2017 and she says ‘Projects can be anything you’ve already started (UFO = unfinished object), quilts, knitting, crochet, it’s up to you.’ She also notes ‘Don’t worry if you don’t have 17 projects’. Well, on a quick count (and I’m sure there could possibly be more buried in the sewing room somewhere but can’t really search as it is being used as a bedroom for our 19 year old French guest at the moment) I am ‘lucky’ enough to have 29 UFOs to choose from!! 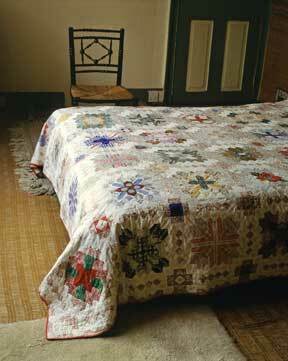 Yoyo curtain – for Sewjourn – been in progress for um, many, years! One of the best ‘rules’ of this challenge is that the aim is to substantially progress the projects not to actually finish them…..but of course any finishes are a bonus! Anyone else keen to join in? 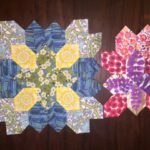 Pop over to Meredithe’s blog to find out the details (and see some of her amazing work at the same time). Back tomorrow with the first of my UFOs. 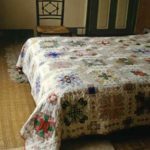 You are currently browsing the Sewjourn weblog archives for January, 2017.